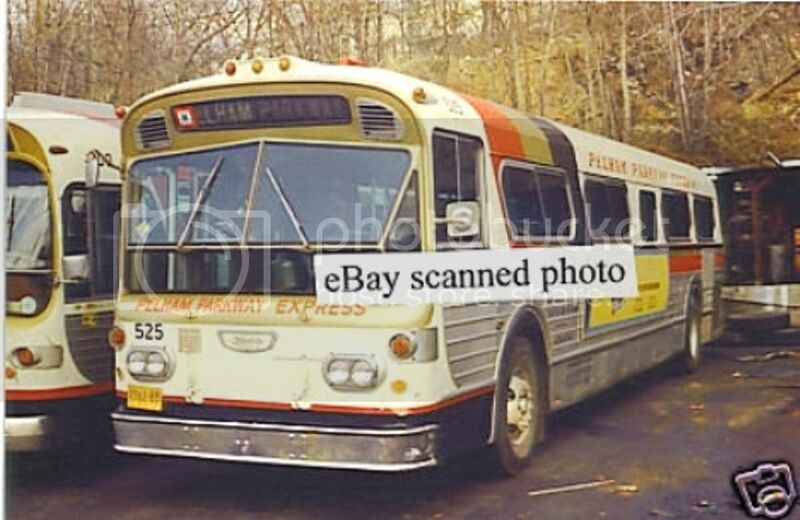 First image; Fleet # 525 Flxible New Look Suburban taken April 1975 at Yonkers, New York. 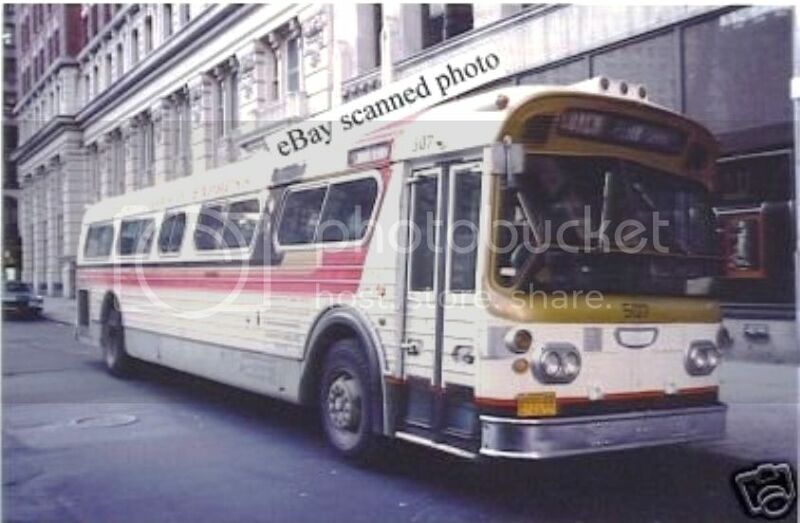 Second image; Fleet # 507 Flxible New Look Suburban taken April 1974 in Manhattan. Third Image; Fleet # 761 GMC PD-4100 series Parlor car taken April 1976 at Yonkers, New York. Fourth Image; Fleet # 704 GMC 5300 series Suburban taken 1973 at the Garden Avenue Yard Mount Vernon, New York. First three photos courtesy of Worth Point and have been sold on eBay. Last photo courtesy of 'Vintage-Vault75' and has also been sold on eBay. 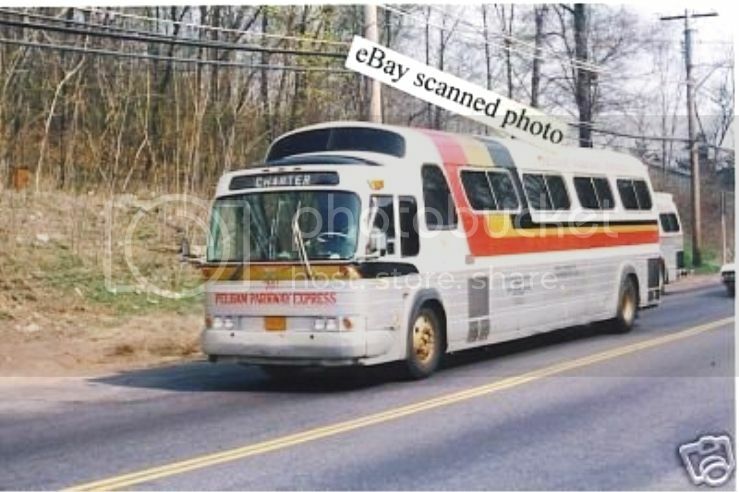 Bronxville Bus had a 1977 P8M4905A, #934. As of 4/18/14 Thanks to ripta42 for the update. 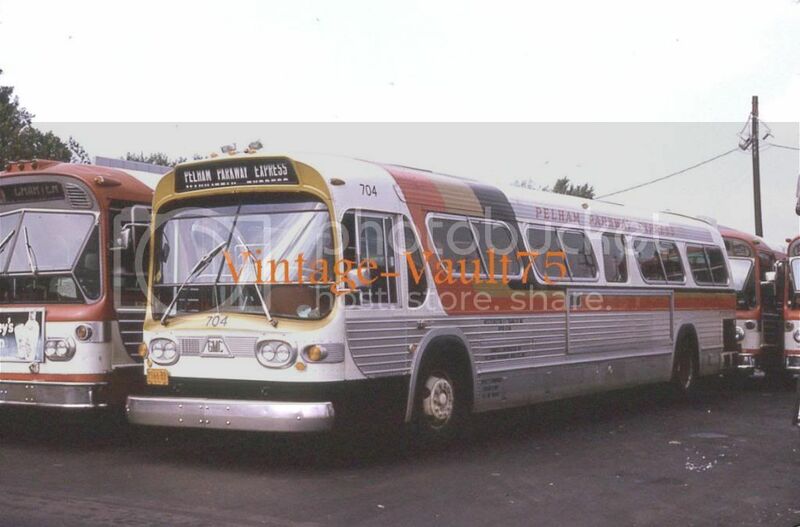 Pelham Parkway: 1973 GMC P8M4905A 730-733, 760-763. These probably became Liberty Lines 1101-1108.